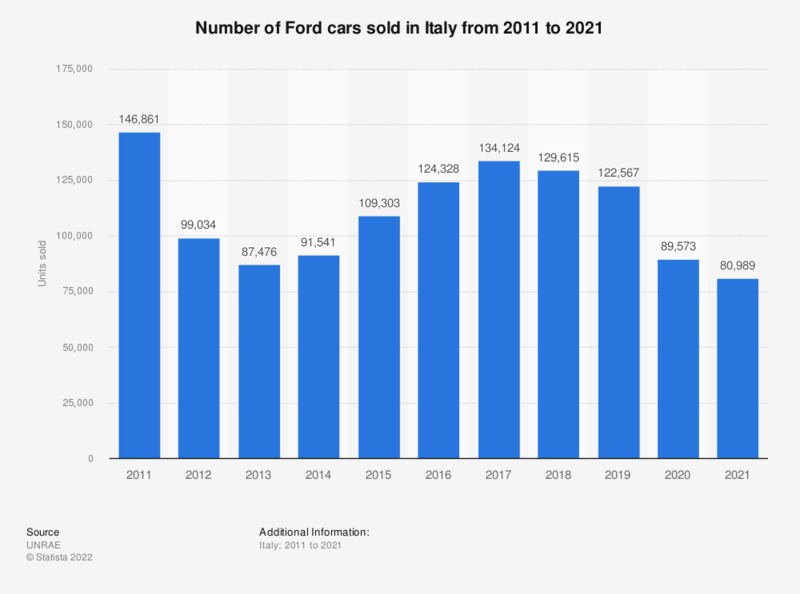 This statistic illustrates the number of cars sold by Ford in Italy between 2011 and 2018. Over the period of consideration, Italian sales of Ford cars fell from just under 150 thousand units sold in 2011 to 87.5 thousand units sold in 2013, before increasing in the following years reaching approximately 130 thousand units sold in 2018. Saudi Arabia: If you own/lease a car(s), which brand are they?